Home / Insurance Tips / Is that Health Insurance and Mediclaim are different? Health Insurance and Mediclaim Are different? Health insurance and mediclaim plans are must have options for everyone. The present market is flooded with numerous companies. Each one offers with similar or distinct coverage plan. As a consumer or a buyer, it becomes important for you to collect all relevant information in advance. This simple exercise will help you make the right selection. You can also ensure that the right plan will always offer with the best coverage for you and your family. Even if this is the case, still not many people make a wise decision of selecting right plan type. One possible reason is that they are not aware of the type of plan that will suit all their needs and requirements. This factor is important for individuals who want to be familiar with benefits of both plans. It is also helpful for people who are not aware of differences between the two types. Note:- For individuals purchasing plan, if you are not aware of differences and offers, then both types may never be beneficial. You can never expect to get the best out of your coverage. There are a number of mistakes that are committed when purchasing health insurance or Mediclaim plans. In general, people are not aware that these policies are not the same. They can not offer with similar benefits and coverage. As per general people, Mediclaim and Health Insurance are similar terms that are synonyms to each other. People feel that they can use both plans as per their benefit in any case to claim for coverage. This makes it important for them to get familiar with the true definition of the two. In this article, we shall try and cover the real differences between the two types. It will prove helpful in resolving the issue for most individuals. We will explain the areas where health insurance and mediclaim are different as compared to each other. Mediclaim is also a policy that is categorized under the Health Insurance scheme. It differs from health insurance in numerous aspects. This is a type of coverage that will offer individuals with specialized benefits in terms of financial coverage. It has been designed to offer you beneficiary with finance protection and in general will help cover any expenses that are health related. This makes Mediclaim user friendly and affordable. So the moment you are looking around for financial assistance for health coverage in emergency, then Mediclaim is the right option. It offers with health insurance coverage that can be used by beneficiary at the time of medical emergency. When purchasing Mediclaim, it is important for beneficiaries to get familiar with its limitation factors. Most Mediclaim policies will offer with certain types of restrictions and limitation. These restrictions are imposed on beneficiary at the time of covering hospitalization expenses. These are also types of expenses that have to bet met by insured person himself. Coverage Offered – It is obvious that this policy offers insurer with health coverage benefit. The coverage benefits include hospitalization coverage and expenses. Apart from this, treatment cost on account of any sudden disease condition or accident is also covered under this policy plan. Assured Sum – The main advantage of Mediclaim is that it is already assisted along with a sum that is pre-decided by the insurer and company. This feature saves a lot of hassle at the time of making claims. Premium offered – The moment you opt for Mediclaim policy, your premiums are already formulated in advance. The general sum of premiums depends on the insured amount. Besides, the age of the insured person, policy duration, gender and his or her geographical location will also alter the premium amount. Settlement claims – One major advantage of opting for Mediclaim is that the entire procedure of processing is done as per reimbursement. The benefit can be claimed by the individual in the form of cashless transaction instantly at the time of need. Plan Basis – Mediclaim is one policy that offers buyers with the convenience where they can purchase any plan as a floater policy or for individual coverage. This offers with entire coverage to each member of your family under the same plan. This is best option for people who have dependents, parents and kids to be covered under the same policy. Tax Benefits – As per the latest regulations imposed by the government, Mediclaim is complete exempted for any taxation. This has been stated under the bylaws of IT Act under Section 80D formulated in 1961. Health Insurance is slightly different as compared to Mediclaim as it will help in offering coverage against surgical procedures and Medical costs. So if you are undergoing surgical procedure, or demanding Medical expense for treatments, then Health insurance is the right option. It is also different as Health insurance demands the insured person to make the payments for all procedures in advance. The expenses offered by the company are actually paid by the insurer but reimbursed by the insurance company. At the end of the medical procedure, the health insurance company will make all bill settlements on behalf of the insured person. The bills are directly paid to the hospital account. When opting for health insurance, each one offers with its own set of terms and conditions that are to be met by the beneficiary. It offers buyers with an extensive coverage plan in general. Health insurance policies are also considered to be more expensive as premiums are generally much bigger. Unlike Mediclaim, Health insurance policies are to be purchased as individual policies. Even if it is more expensive as compared to Mediclaim, still it offers with its own salient features. 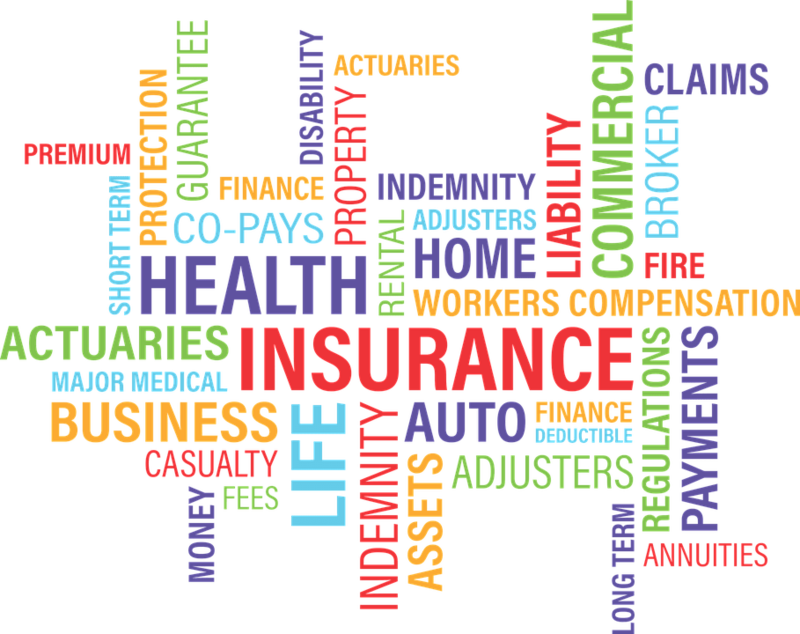 Coverage – In terms of coverage, Health insurance is believed to be a bit comprehensive. It is designed to help offer coverage against critical illness conditions. The coverage offered is still restricted to age of 30 years or above for the beneficiaries. Health insurance does not cover any critical illness that falls under basic health plan. It is always considered to offer buyers with additional coverage. Renewable Offers – Buyers purchasing health insurance are offered with renewable discount benefit at the time of maturity. This renewal benefit can be opted by the buyers at the time of claim free year completion period. This is offered to the buyers as no claim Bonus offer. Co-payment factor – There are a number of health insurance policies that are assisted along with co-payment benefit. This factor proves helpful as it lowers the premium amounts. Under this benefit the insurance company is responsible for paying certain percentage of coverage on behalf of the insurer. 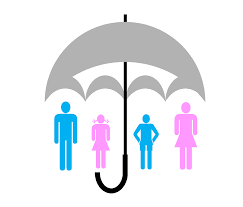 Tax Benefit – Just like Mediclaim, Health insurance also offers buyer with benefit of Taxation under 1961 Act Section 80 D.
1 Coverage Offered Mediclaim will offer coverage to buyers only for covering Hospitalization, pre-mentioned disease condition and Treatments related to accidents for each of the limits that have been specified earlier. It is efficient in offering with coverage that is comprehensive in nature. Will be best option for covering hospital fee & charges both at pre and post hospitalization stages including other additional expenses like ambulance etc. The policy will also offer with complete coverage at the time of income loss on account of hospitalization or during accident case. 2 Add on factors It is not efficient and does not support any type of Add on policies under its coverage plans. Health insurance can be customized as per requirements and Add on features are available. It provides complete benefit against additional illness (Critical or non-critical), disability case coverage, coverage at the time of maternity treatments etc. 3 Customization and flexibility Mediclaim is not considered to be flexible and thus may not offer with customization features. Most policies can easily be customized as per requirements. Plans are more flexible in nature. Premium amounts can be increased or decreased at any time during policy tenure. Duration of each policy or plan can also be managed. Long terms benefits can be added as per personal requirements and conditions. 4 Plan details In each case, the nature of plan can be distinct varying from one buyer to another. Each company again will offer with its own set of insurance plans and benefits for coverage. In most cases, the overall benefit offered by the company will remain same and may not vary from one service provider to another for the same sum assured plan. 5 Coverage against critical illness Mediclaim is believed not to offer the buyers with any type of benefit for covering critical illness conditions. The company offers with a coverage for over 30 different types of critical illness to the buyers. It is designed to offer complete insurance coverage in case of cancer, kidney failure, stroke etc. 6 Assured Sum As the policy is determined to offer with benefit in the form of additional plan so the overall coverage in each case may only be below 5 Lakh rupees in value. In general, most companies offer with a limitation of 6 crore as assured sum that is usually given away at the time of maturity. The sum is offered as yearly amount under the coverage. So it is obvious that the coverage offered is extensive for buyers. 7 Claims made It is possible for a policy holder to make a claim for any settlement against his mediclaim. This can be done till the maximum limitation of the claims to be filed has reached. The company always ensures that the limp sum amount of money will be paid in case the insurer makes a claim at the time of accident, disability or any type of critical illness. The buyer is also allowed to make any such big claims only once during his time of tenure of his policy or life time. In general, an insurer is also allowed to make any claims at any time till he or she is having a fixed sum of money with the policy or till his entire amount has not been withdrawn. 8 Hospitalization expenses To make any type of claims for mediclaim the insurer will only be able to make if he or she has been admitted in the hospital. To get full benefit of the premium sum or coverage it is not important for the insurer to be admitted in hospital. A general claim can also be made by the insurer for his day care services at home. Note:- The above mentioned table gives a complete comparison between the health insurance and mediclaim. It will also make the process of selection more simplified for the buyer in the current market. As there are so many different options and plans to select from between the two categories, it leaves people more confusing. Making the right choice some times can be a daunting task. You just need to keep in mind that no matter what you select, each type offers with tax exemption benefit. It has been regulated and stated by the IT taxation ACT. If you ask experts, they always suggest opting for health insurance in general. One of the major advantages with health insurance is that the policy and plans are very much comprehensive. It also offers with better coverage for entire family. It is thus more important to make the right selection of reputable company. Select one that offers coverage you and your family needs. The selection of best mediclaim or health insurance company can never be understood in few words. You have to get to the bottom of the type of plan you need the best. Insurance coverage or mediclaim benefits are factors that are individuals choice. It should cater all your personal needs. It is also important that policy should suit your requirements. In the long term, it should offer with benefits that you might have expected for your family or loved ones. This is also one of the reasons why companies are always coming up with new and better plans every time. It is important for you to try and get familiar with what exactly your needs are. Look into all possible expectations with the policy that you have. It is important that the plan or policy you selected should in fact cater your needs and be flexible. In the online world, you can compare different policies and plans and then make your wise decision. In general, both Mediclaim and health insurance are two most important tools for each and every individuals to enjoy a healthy life style, even after retirement.